Our experience and understanding of the architecture, materials and building methods that are unique to religious properties really come into play when we conduct building or campus assessments. We can determine if there is a specific problem area with recurring problems or large scale problems throughout the interior and/or exterior of the structure. We can also determine the cause of the problem, from gradual deterioration due to weather or a previous repair that may have been ill-advised, poorly executed or both. Once we identify the problem and its cause, we can devise a strategy for the solution. This includes, but no limit to, the development of repair procedures and document preparation for the necessary corrective measures. Most people don’t realize that many building materials, especially masonry and stone, are intended to hold varying amounts of moisture. Because we’ve been working with these building materials every day for decades, we know the proper amount of moisture that each material should hold. 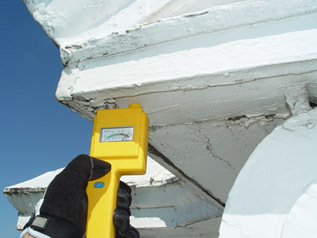 Using moisture meters, we can determine the level of moisture in your structure and tell you if it’s the proper level. We can also see behind your walls by conducting a fiber optic inspection. By inserting a small camera into your wall through a half inch hole, we eliminate the need for a lot of testing and save you money. For conditions that require certain types of documentation or further evaluation, we’ll bring in a structural engineer or architect and work together to identify and correct the problem with your religious property. This may be necessary for recurring cracks in walls, foundation issues, deficiencies in the original design, and collapsed or unstable conditions, including leaning towers. In some cases, sections of a roof or wall will need to be removed to properly investigate certain conditions. 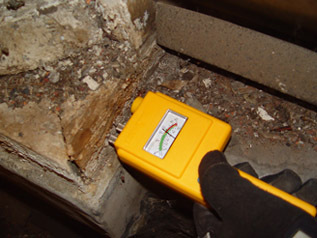 This allows us to evaluate the extent of the problem and determine what materials should be used for repairs. Because of our familiarity with these materials, we can conduct the inspection by removing a smaller section than most contractors, which saves you money. We understand that it can be costly to repair and restore older religious buildings and places of worship. That’s why we do more than give you an estimate after we’ve assessed and evaluated the condition of your property. We break down the costs and create a schedule of repairs. Our projects may last anywhere from one week to 10 years, and we’re happy to repair your property in phases if necessary. Why is this helpful? One contractor handles all phases, resulting in a built-in warranty, the highest level of quality control and seamless continuity throughout the project.